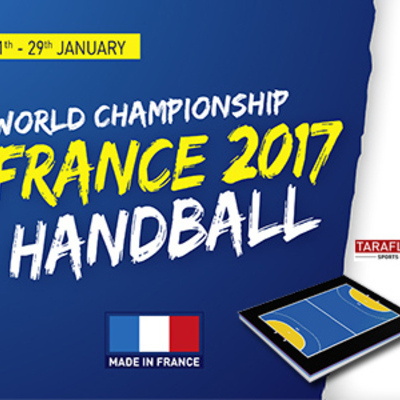 As from the 11th of January 2017, France will host the Men's Handball World Championships in 8 cities (Nantes, Metz, Rouen, Paris, Brest, Lille, Albertville, Montpellier). Gerflor with the Taraflex indoor sports floorings is a partner of the event! Through its solution "sporting events", the group has performed the manufacturing, preparation, delivery, installation, technical assistance and will also carry out the dismantling of the sport courts after the competition. For this unique event in France, Gerflor will install 8700 sqm of Taraflex indoor sports floors. During this competition, we will also have the pleasure to celebrate the 20 years anniversary of our partnership with the French Federation of Handball.